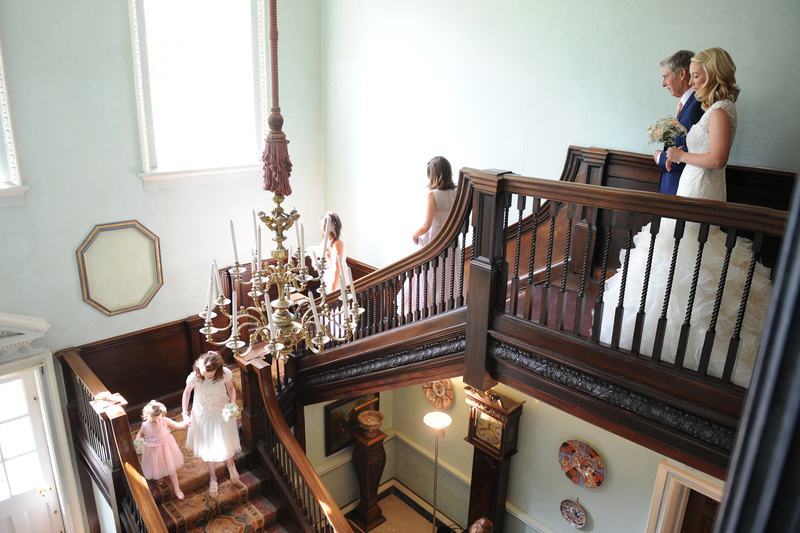 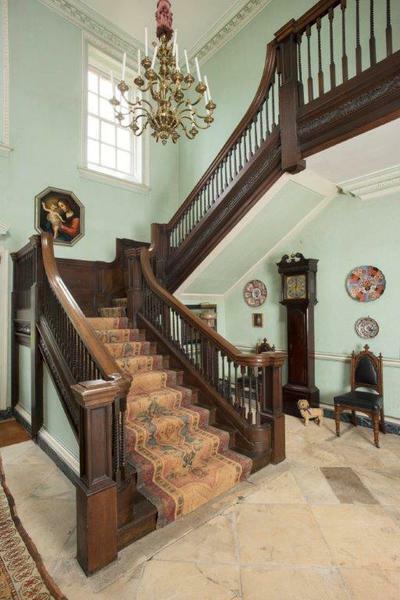 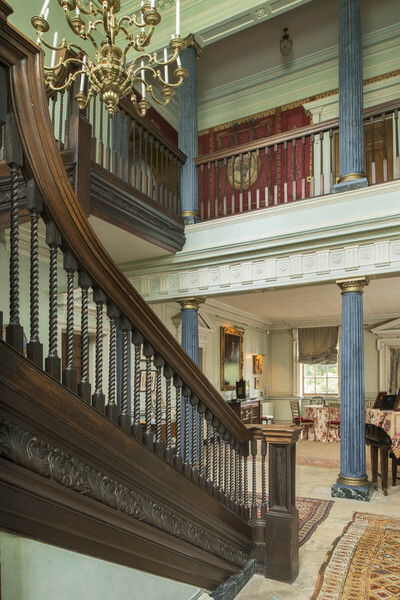 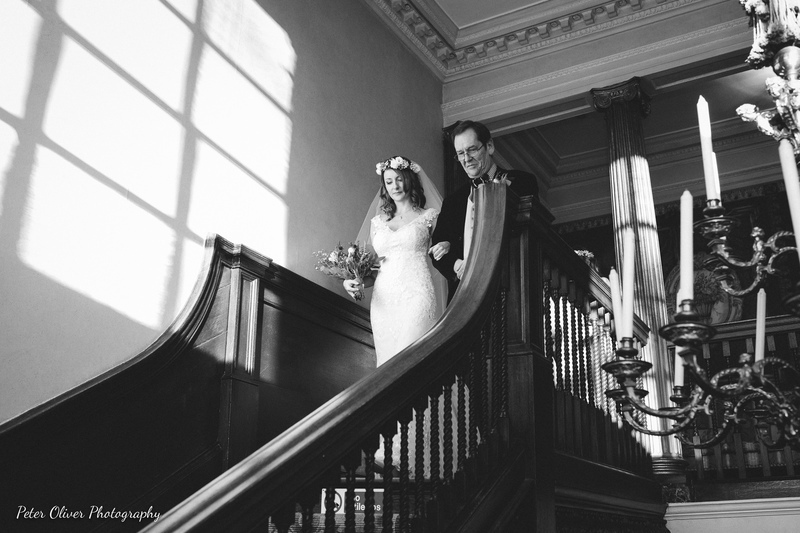 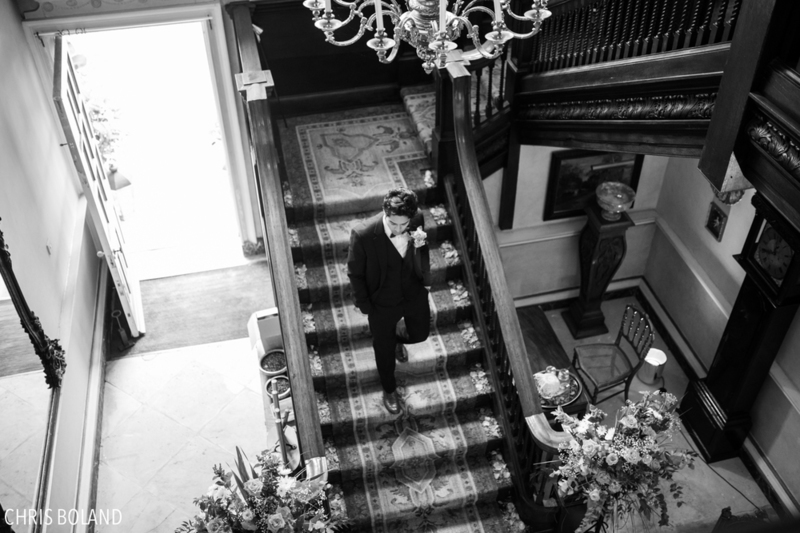 The interior of Island Hall has some very fine elements, a spacious stone-flagged entrance hall, with a screen of Doric columns, and an exceptionally handsome oak staircase with a carved acanthus leaf scroll detail and turned and twisted balusters. 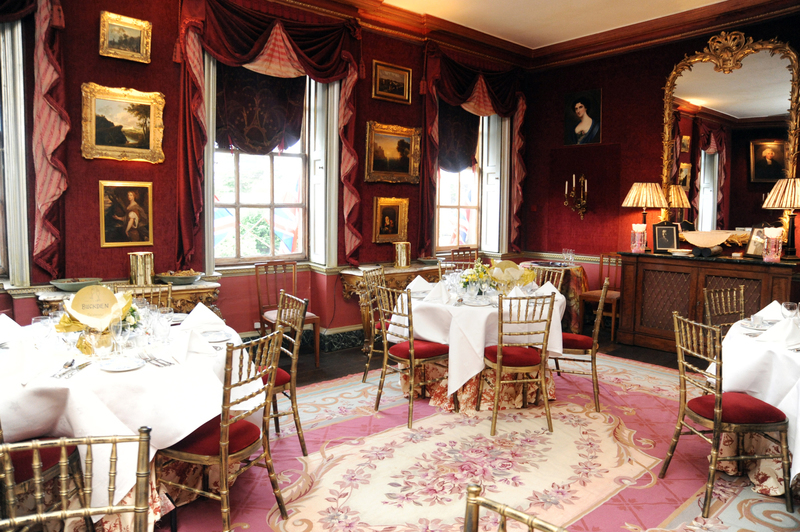 The drawing room and dining room also have exceptionally handsome carved wood panelling original to the building of the house. 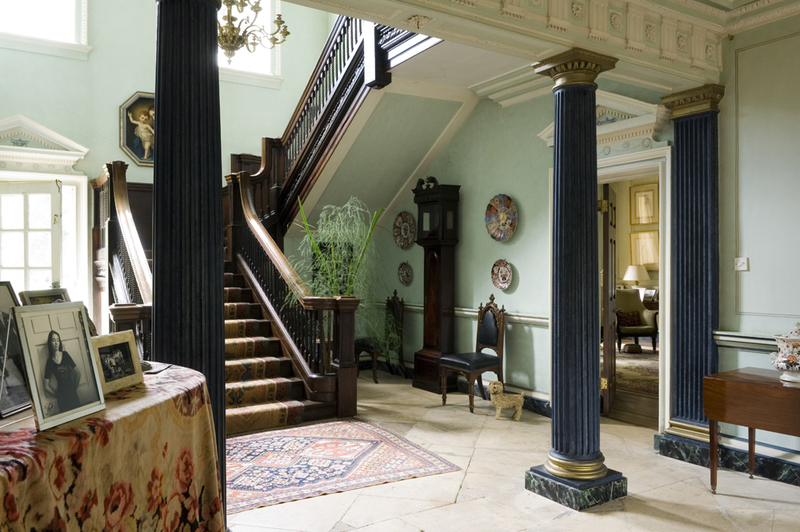 It is, in feel, very much in the spirit of an early Georgian country house, but is in fact built within the small town of Godmanchester. 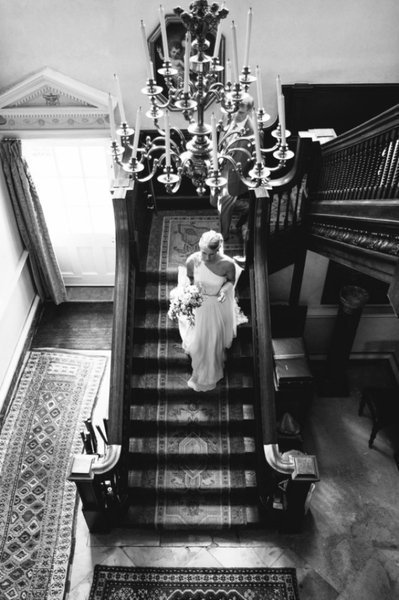 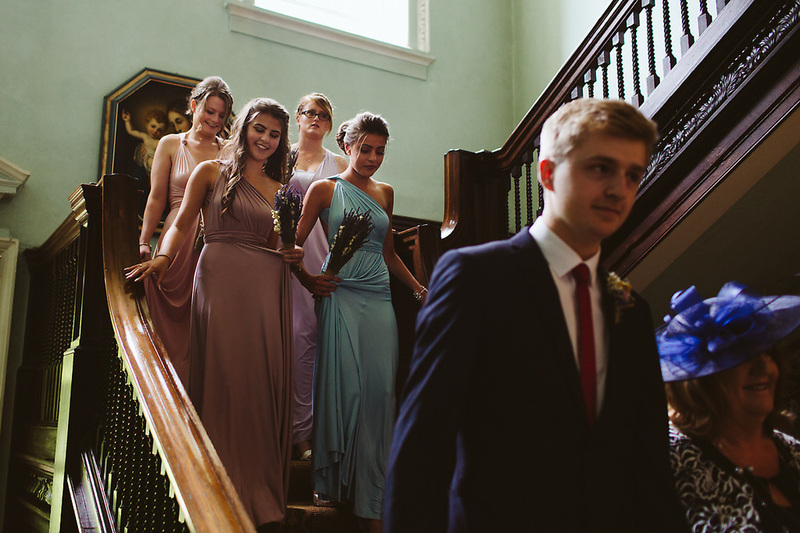 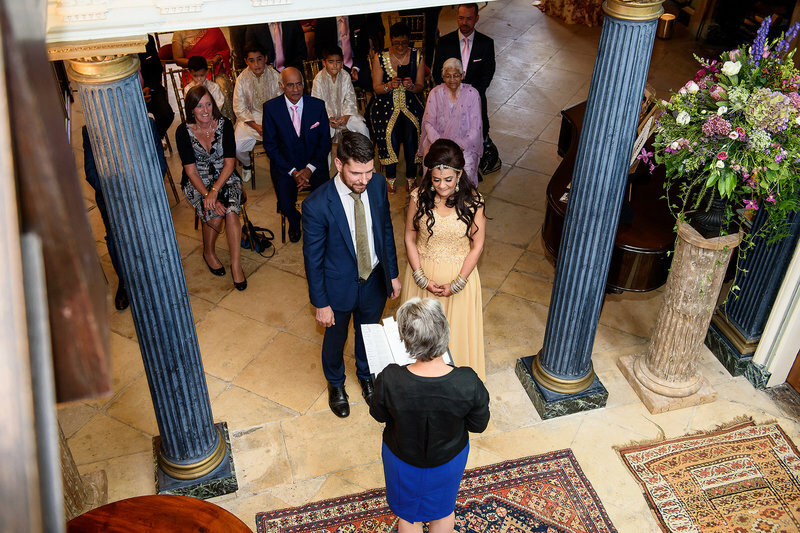 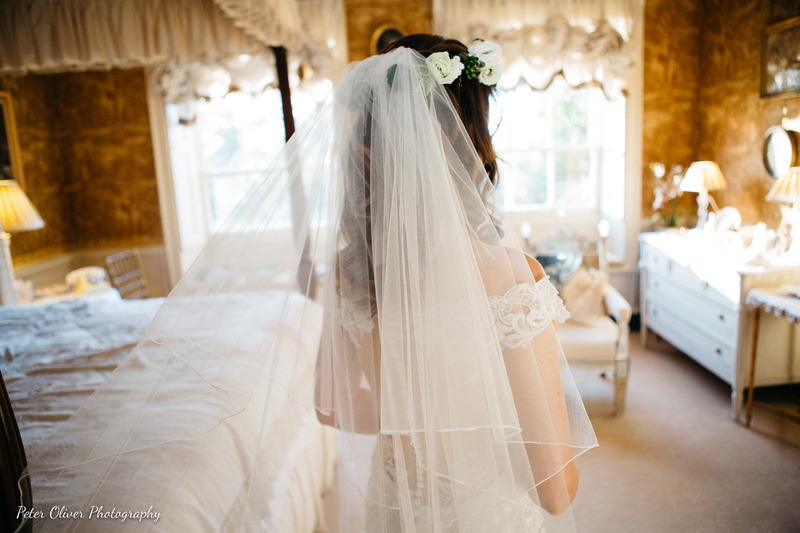 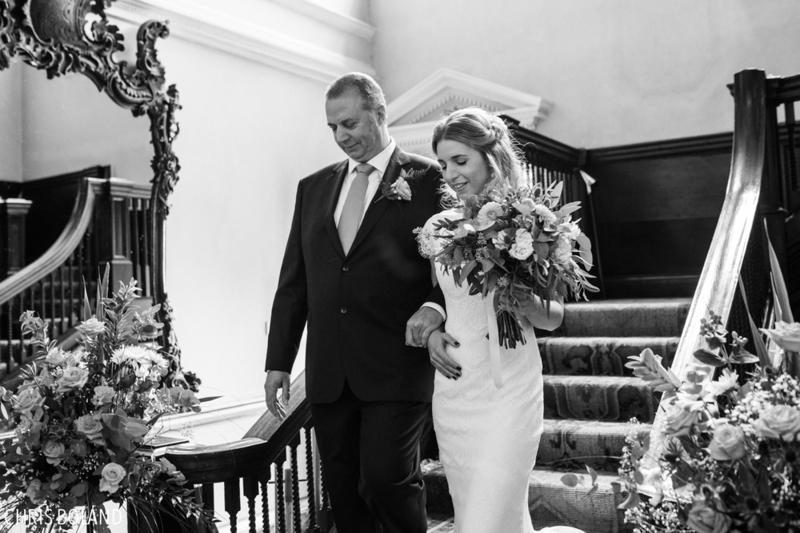 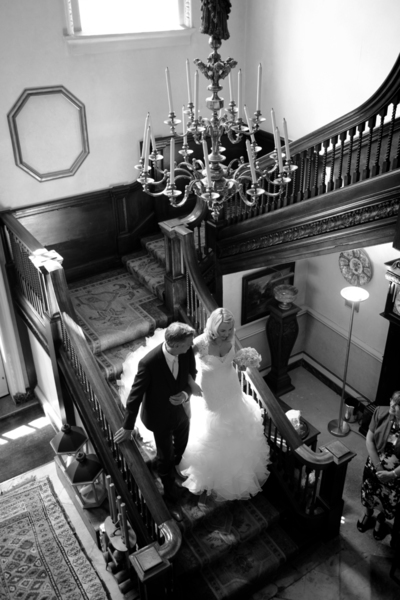 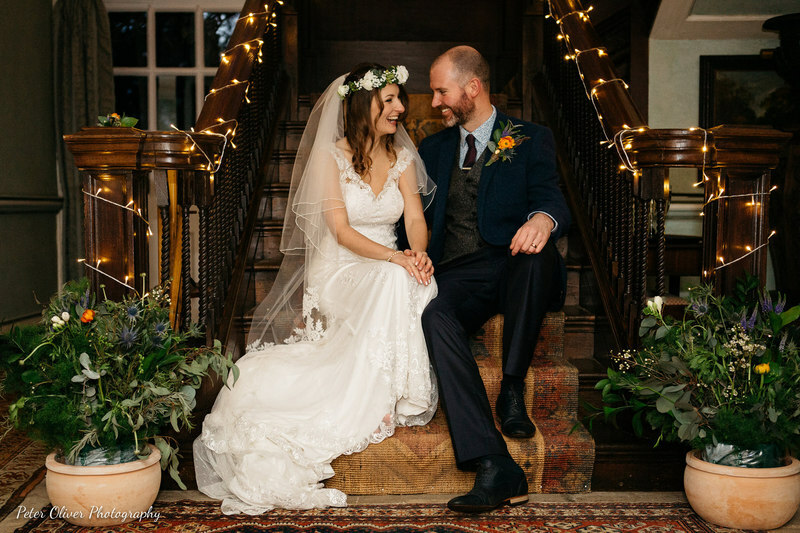 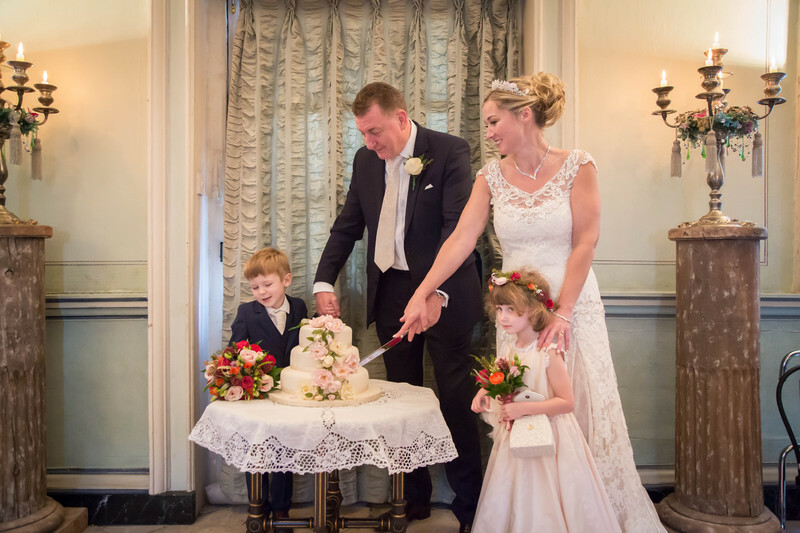 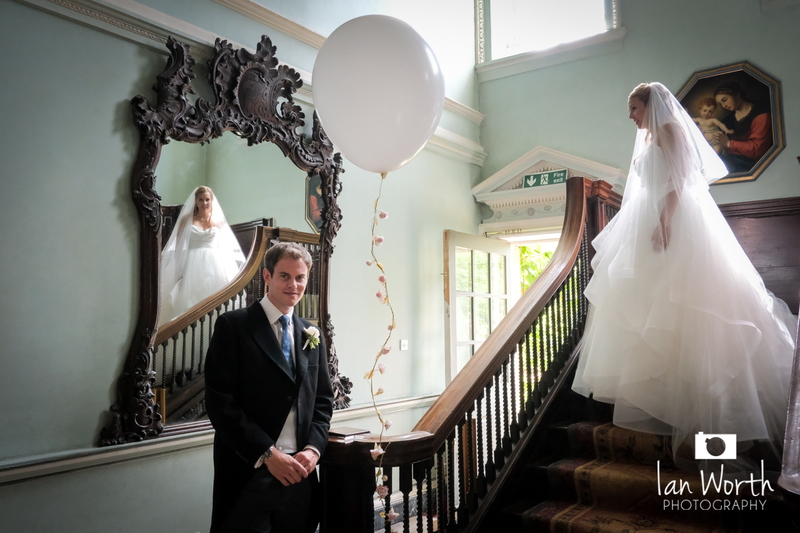 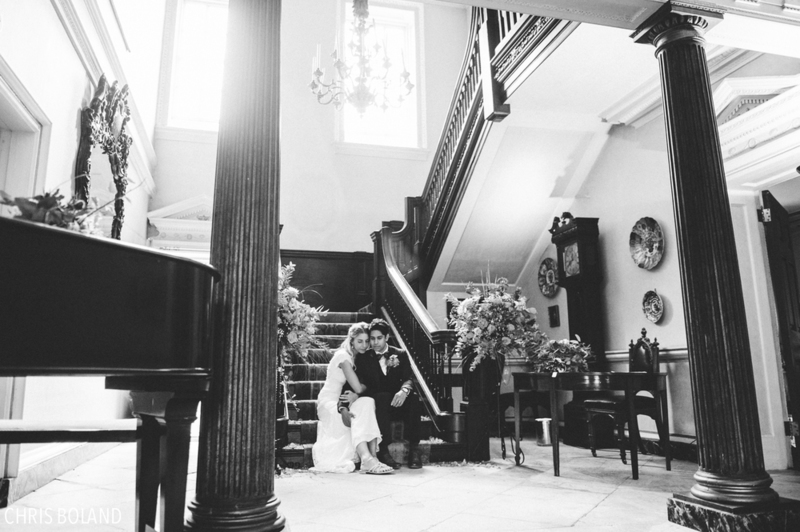 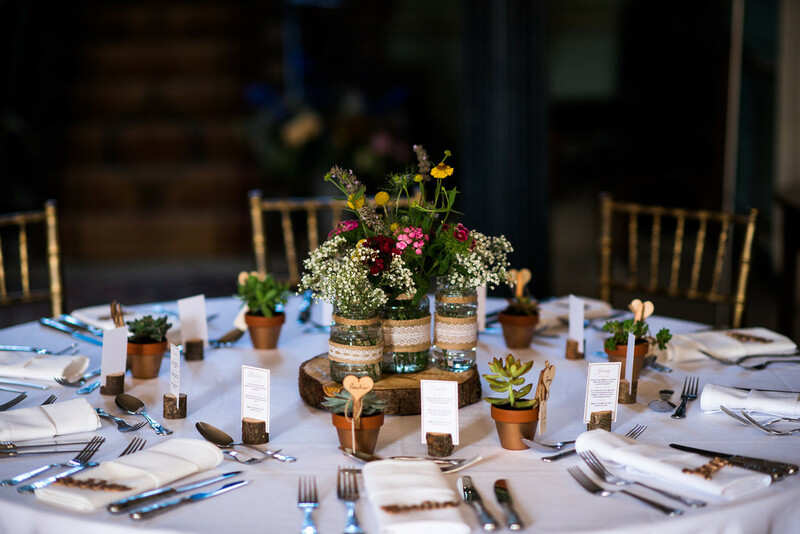 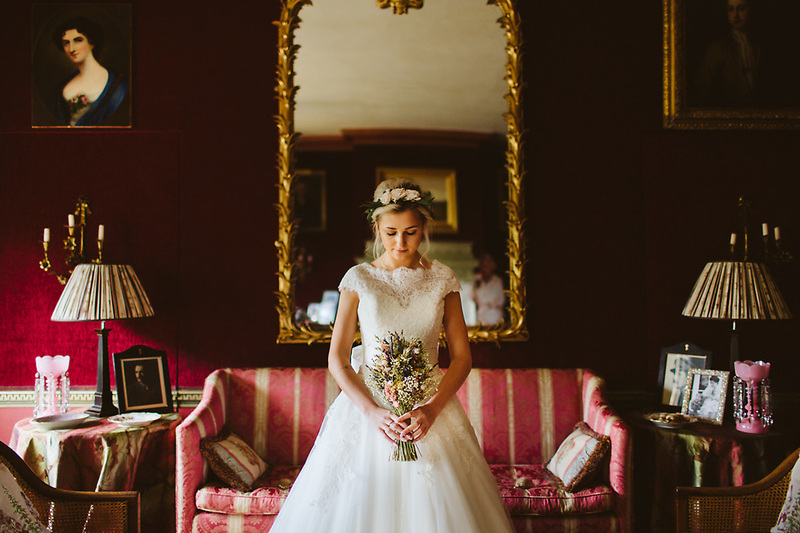 At the heart of the house is our beautifully restored, stone flagged hall, which is licensed for Civil Wedding Ceremonies. 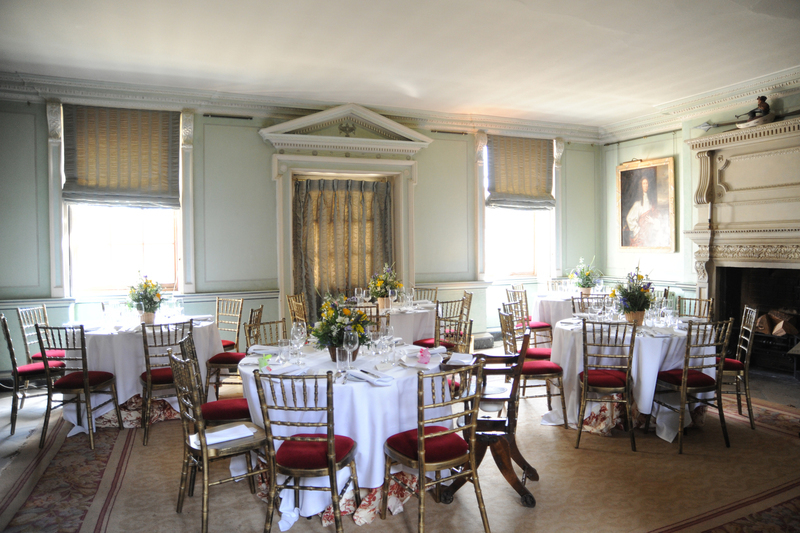 It can accommodate up to 80 guests for a Ceremony or 48 at round tables for an intimate Wedding Breakfast. 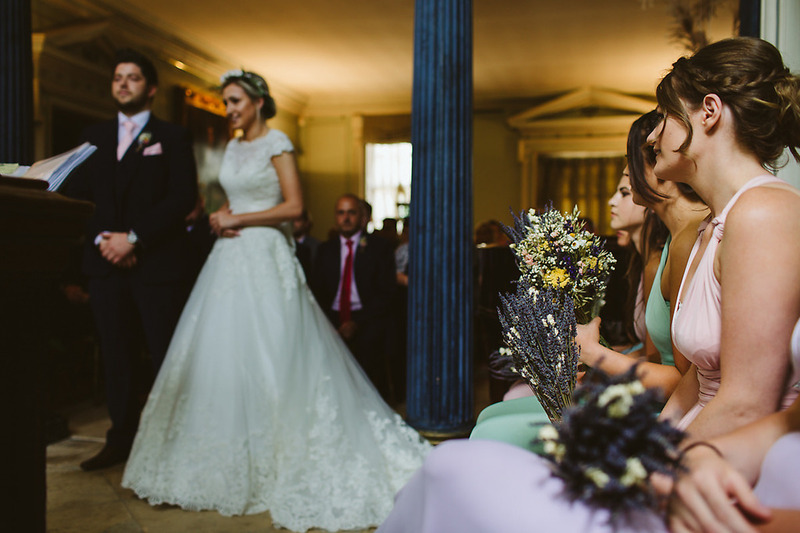 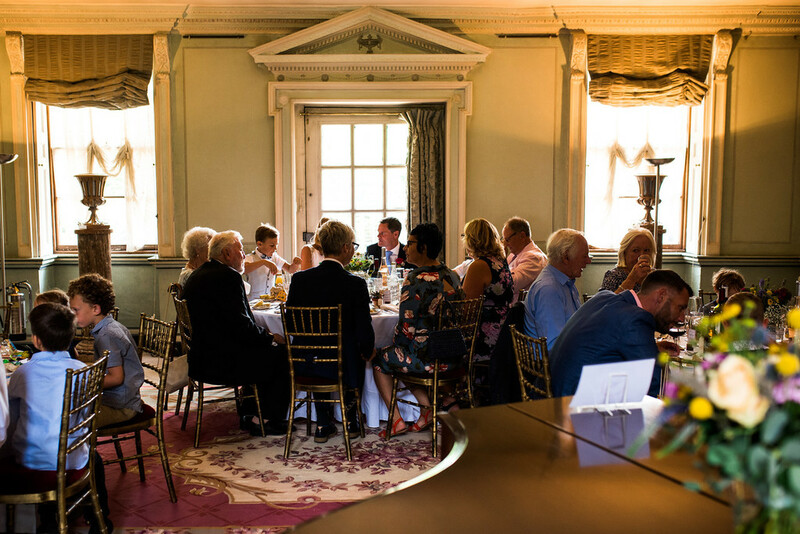 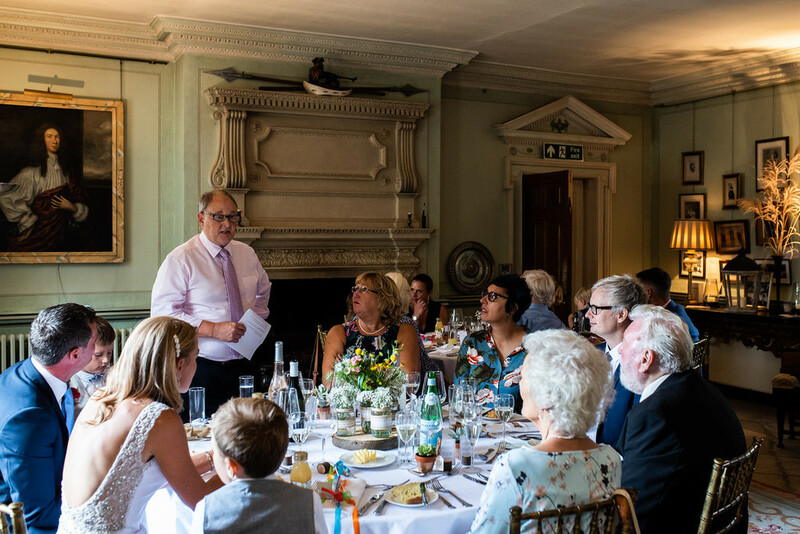 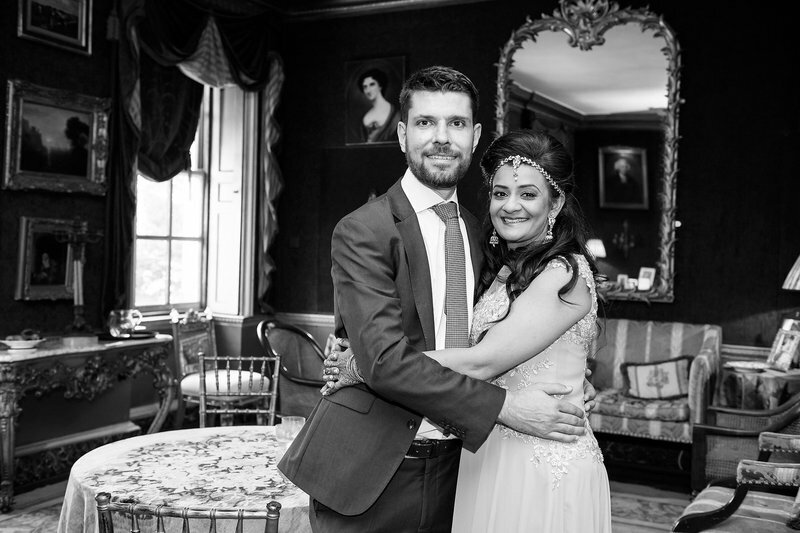 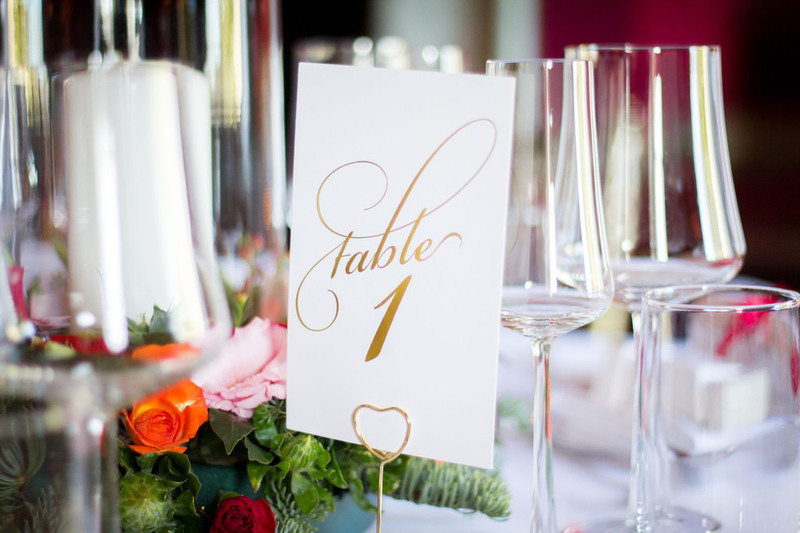 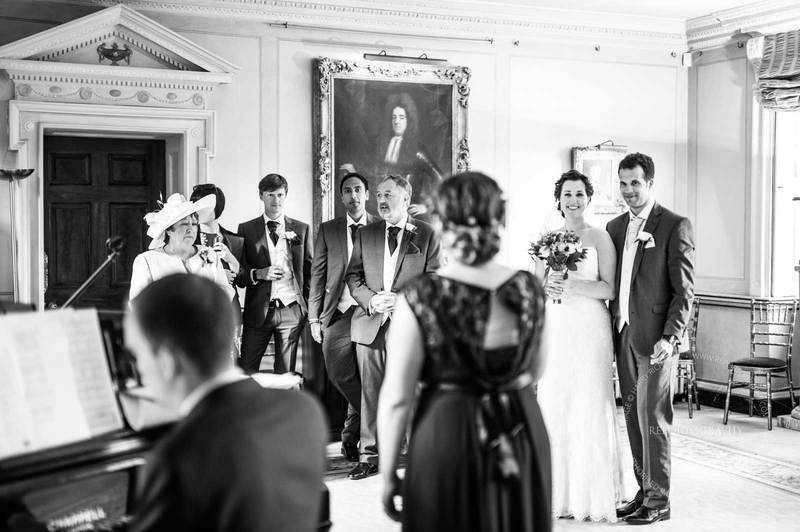 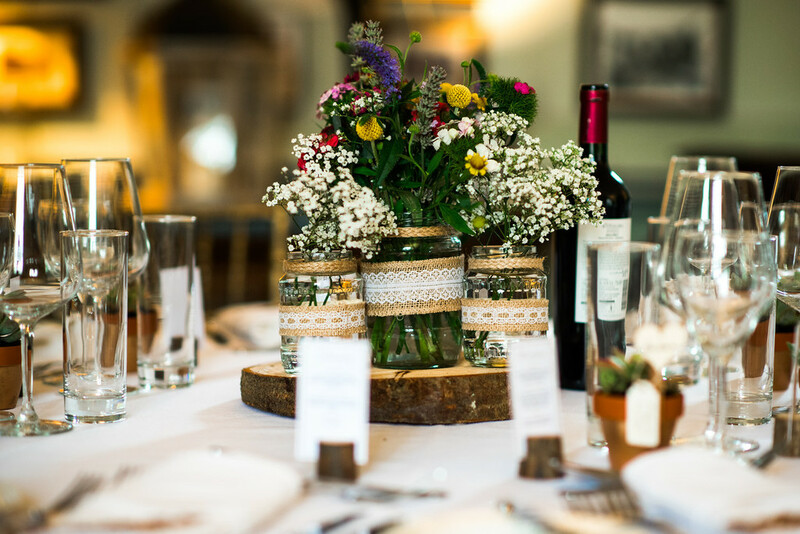 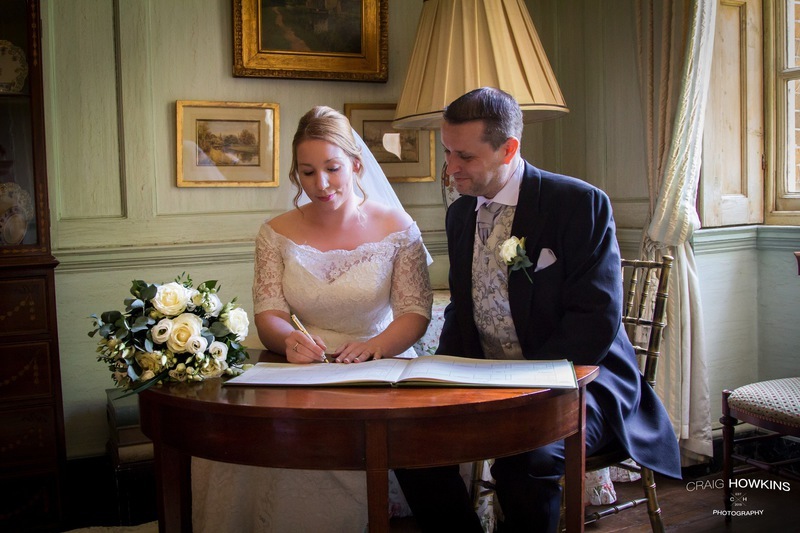 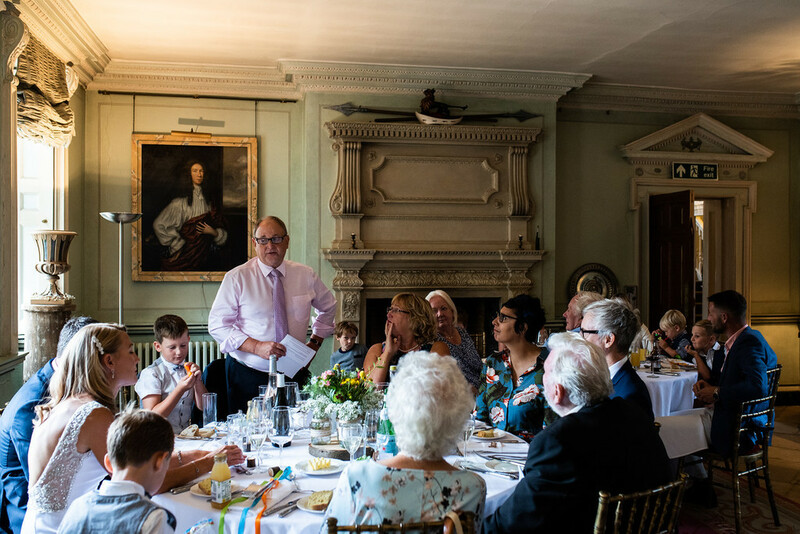 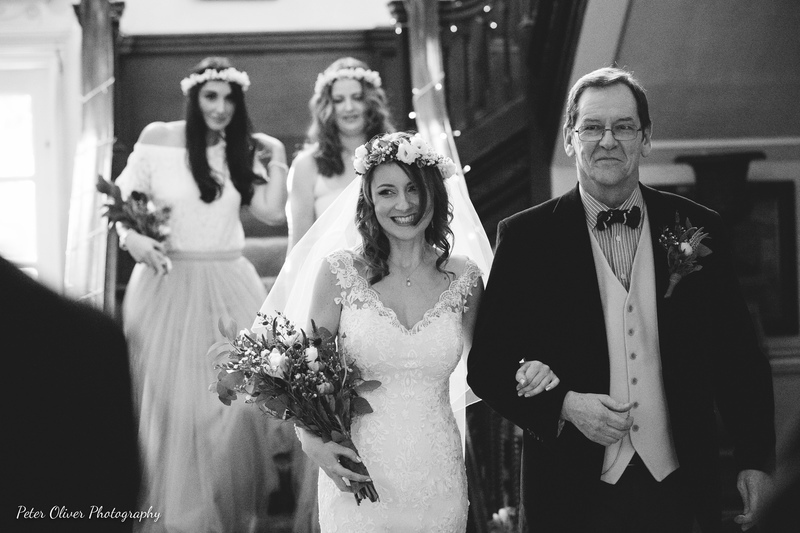 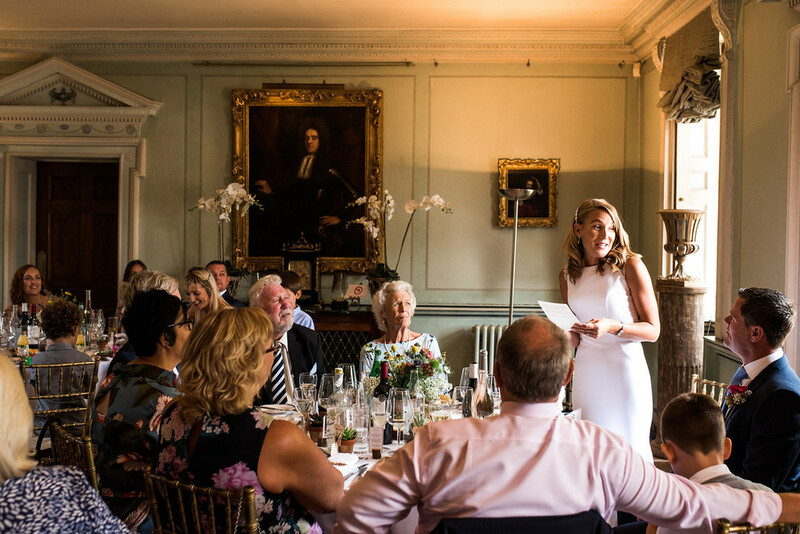 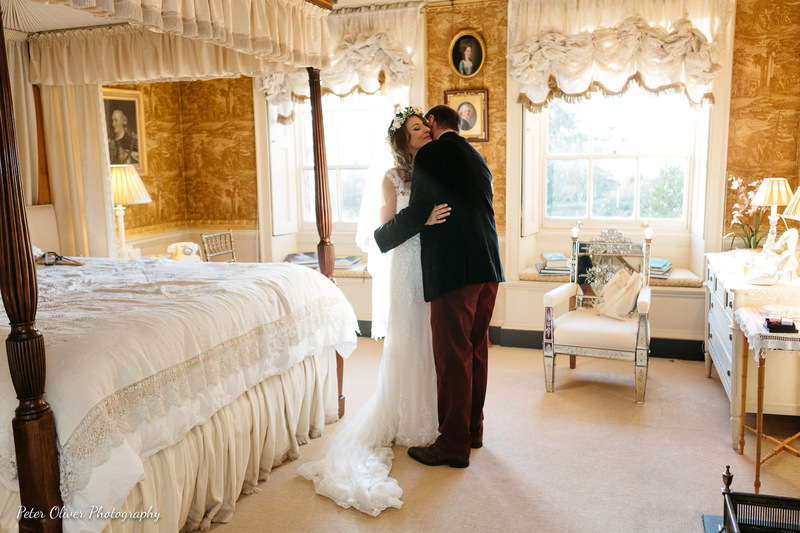 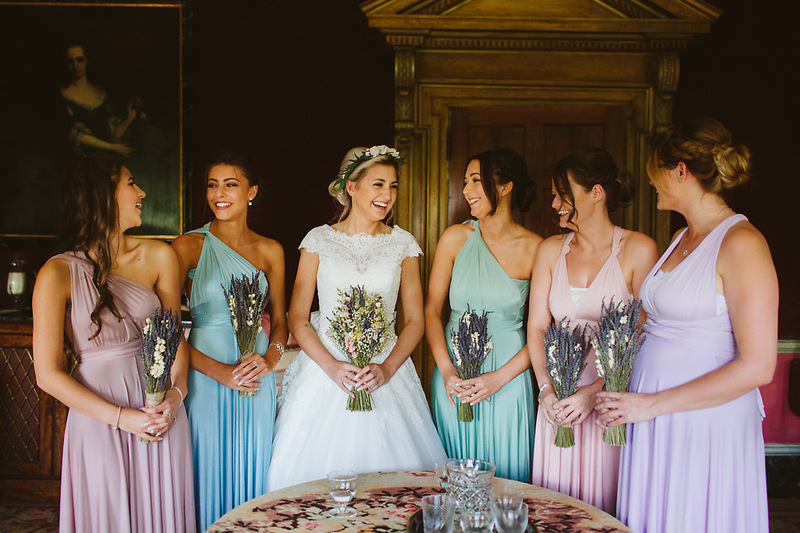 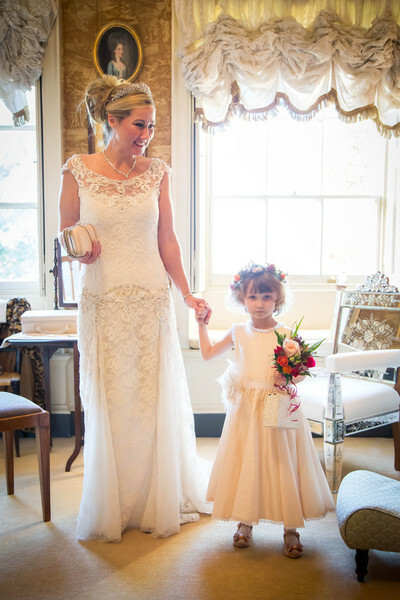 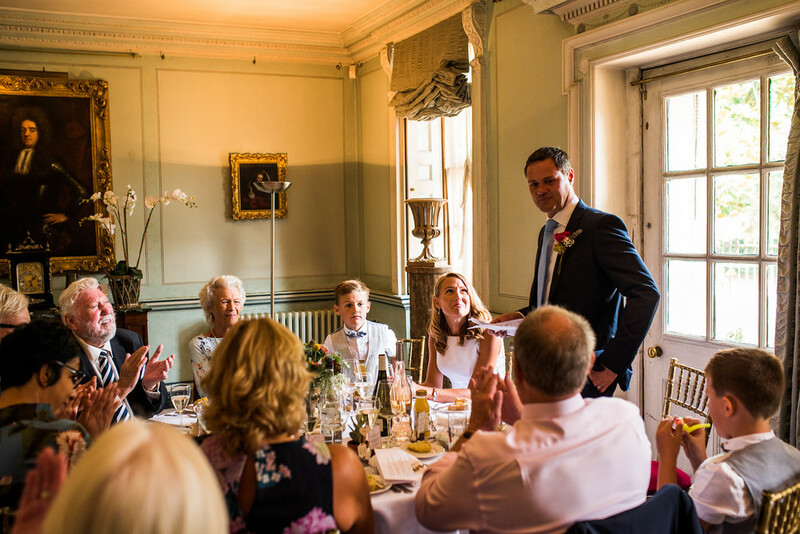 It is also the perfect place to welcome your guests with a drinks reception before your Wedding Breakfast and dancing in a marquee or tent in the grounds. 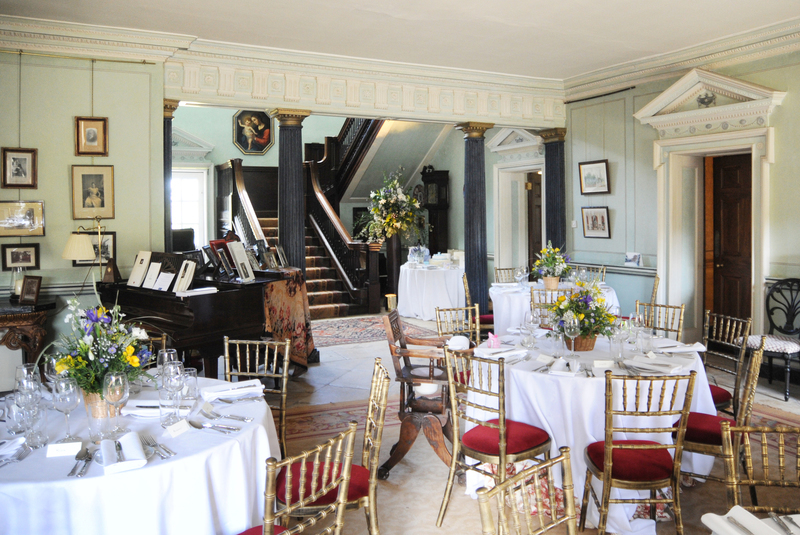 Drinks & canapés reception (up to 120 guests standing). 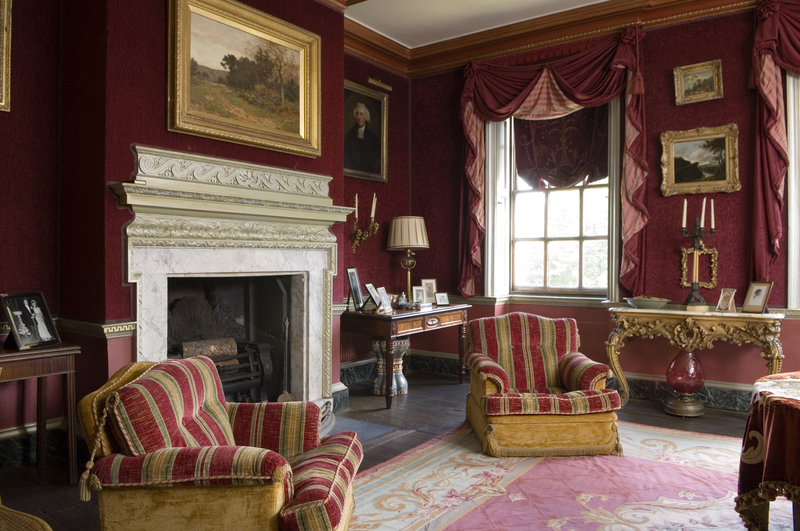 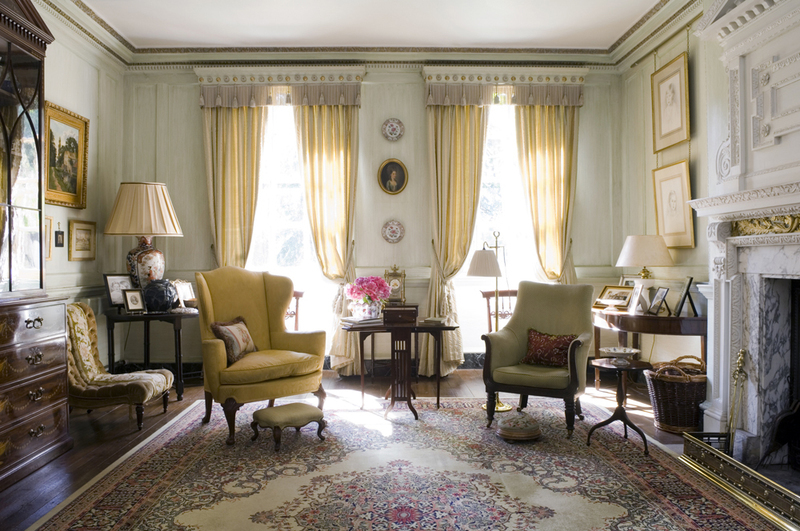 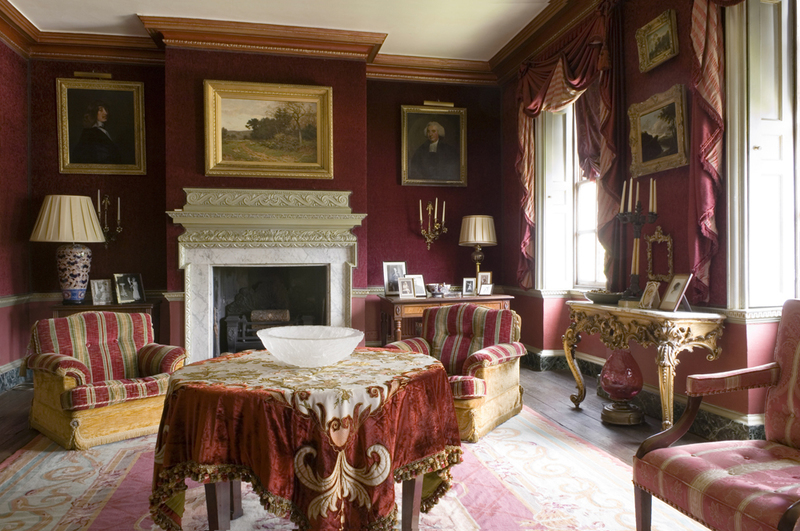 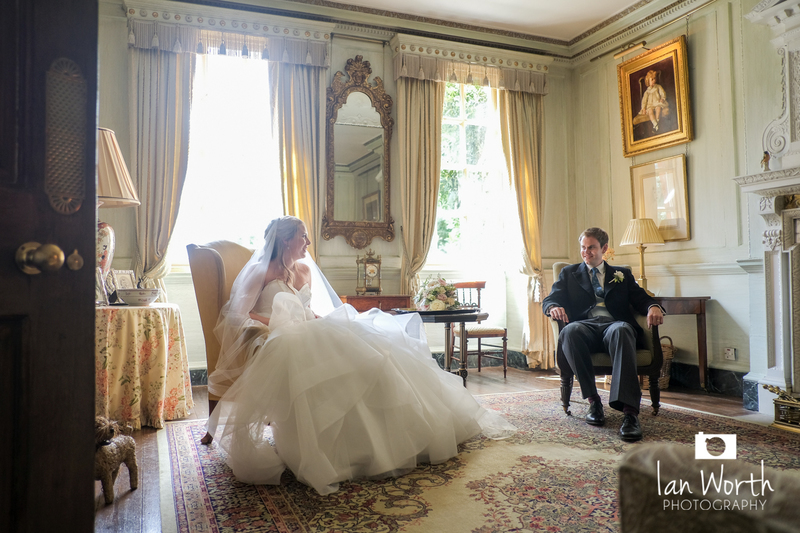 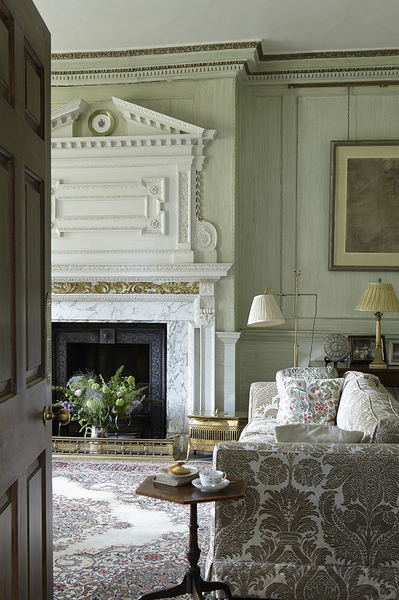 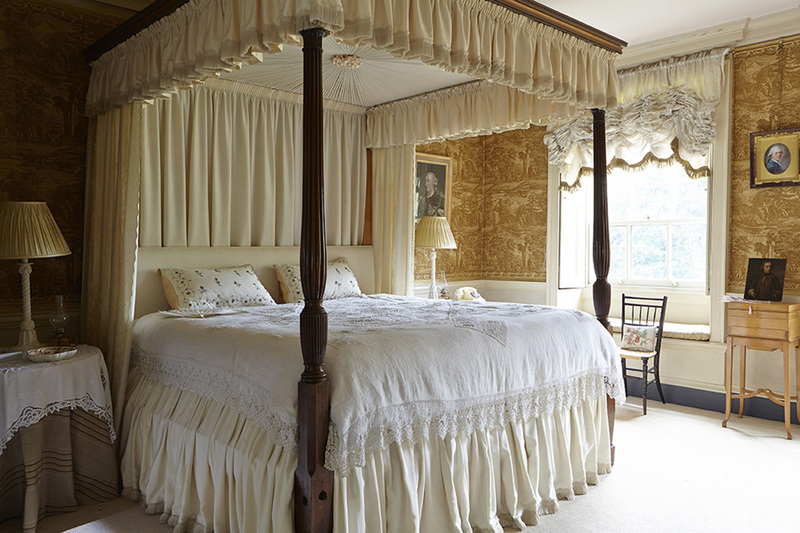 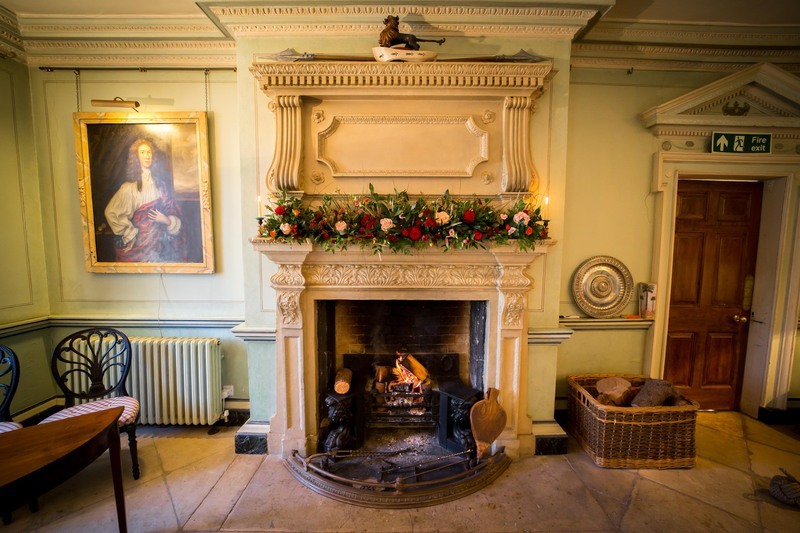 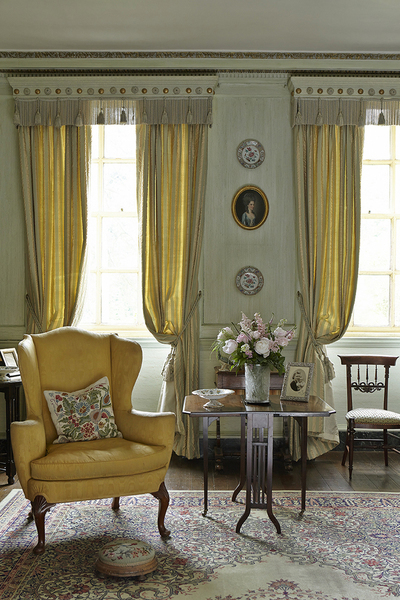 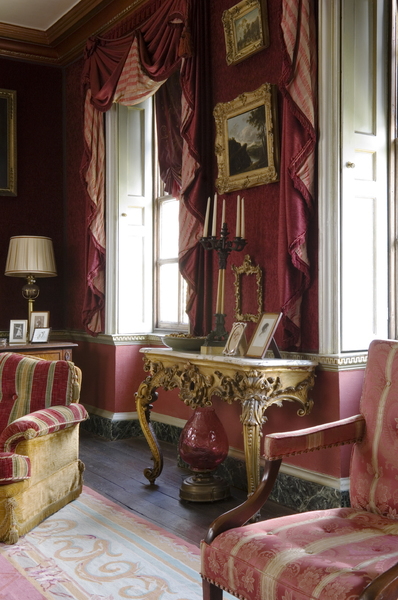 The drawing room has exceptionally handsome carved wood panelling original to the building of the house. 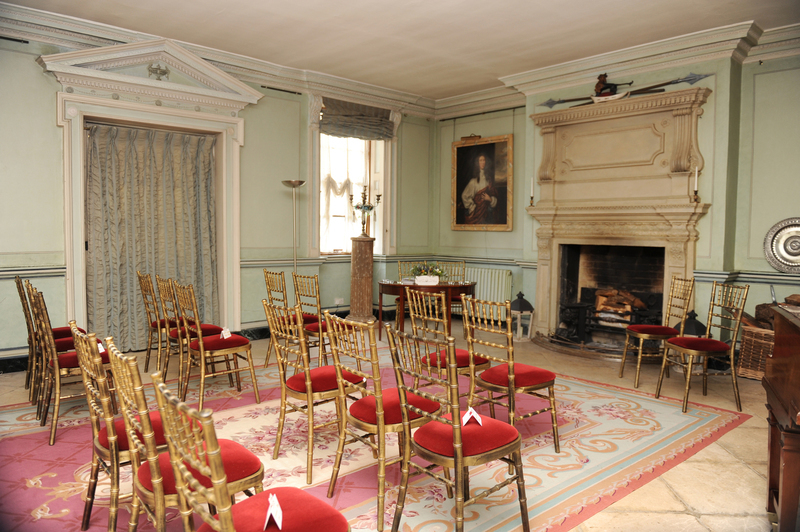 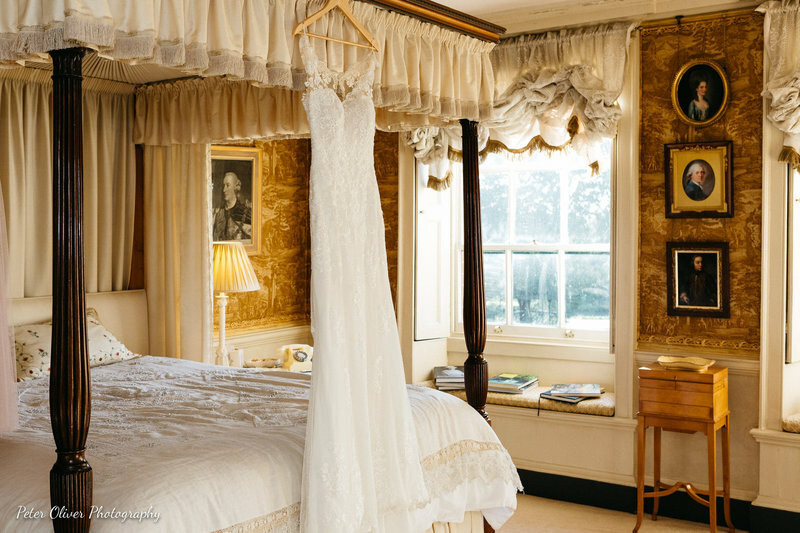 The room can accommodate up to 15 guests for a Civil Ceremony. 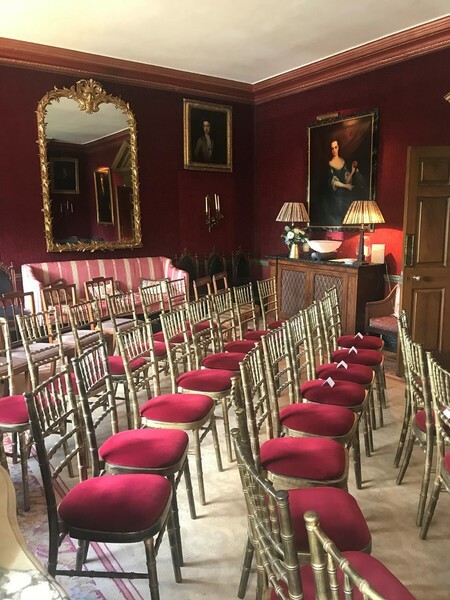 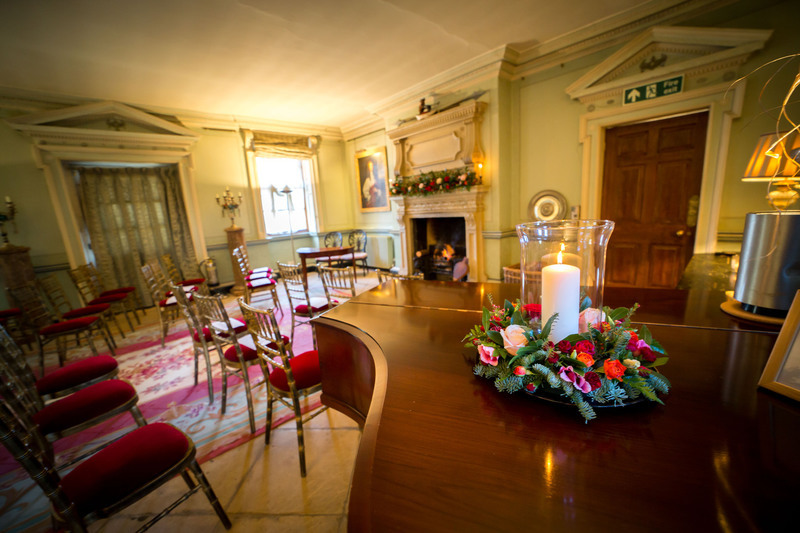 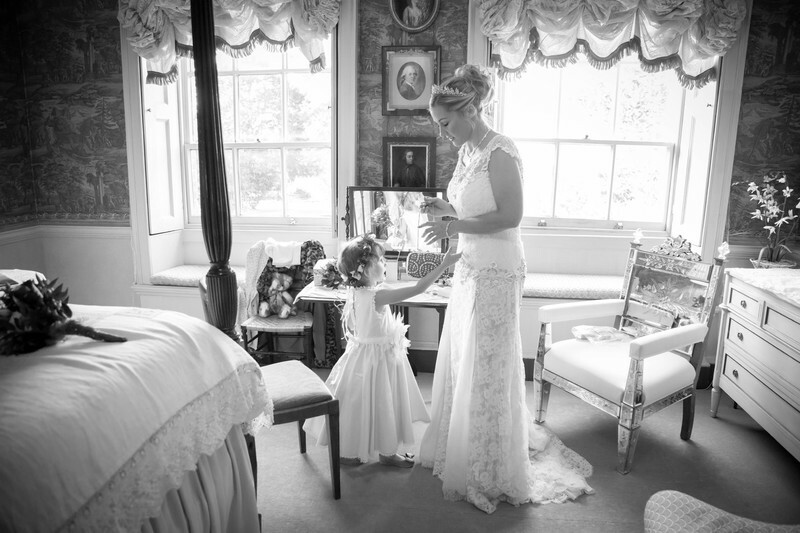 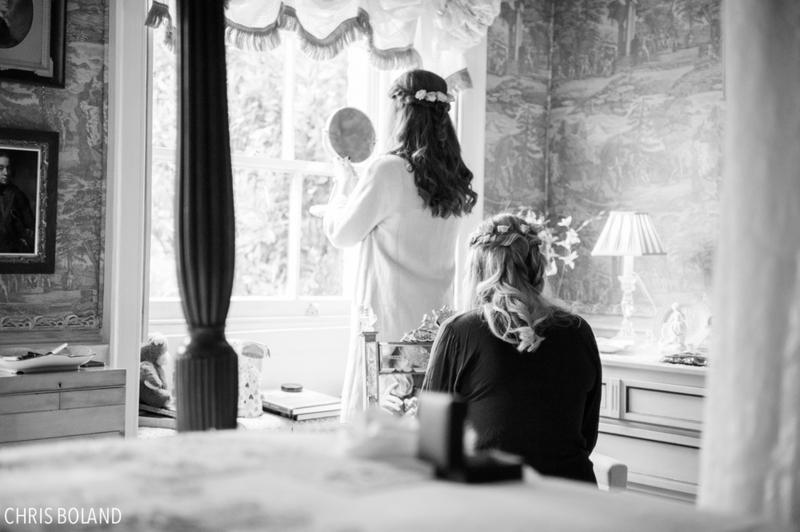 The maroon velvet lined Salon on the first floor is an opulent setting for an intimate Civil Ceremony or Wedding Breakfast. 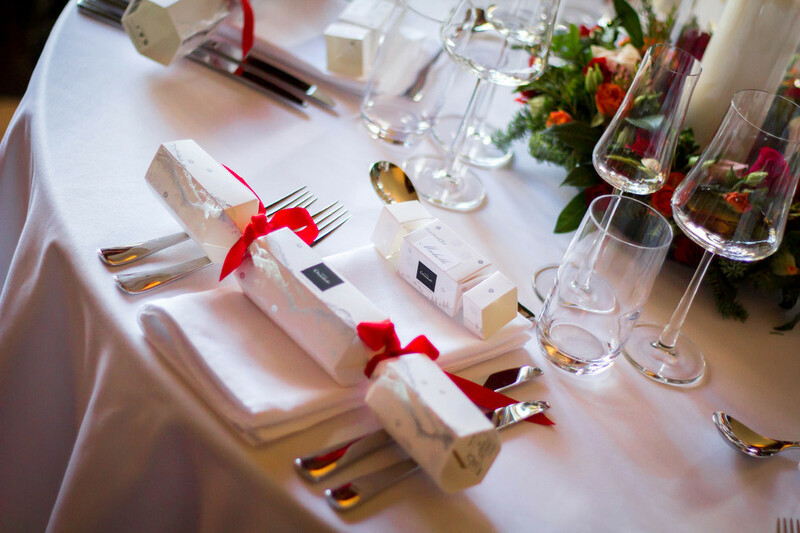 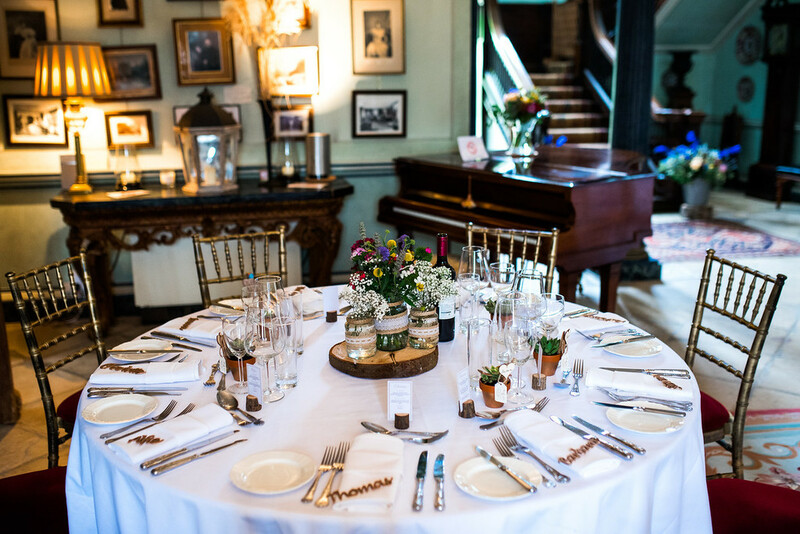 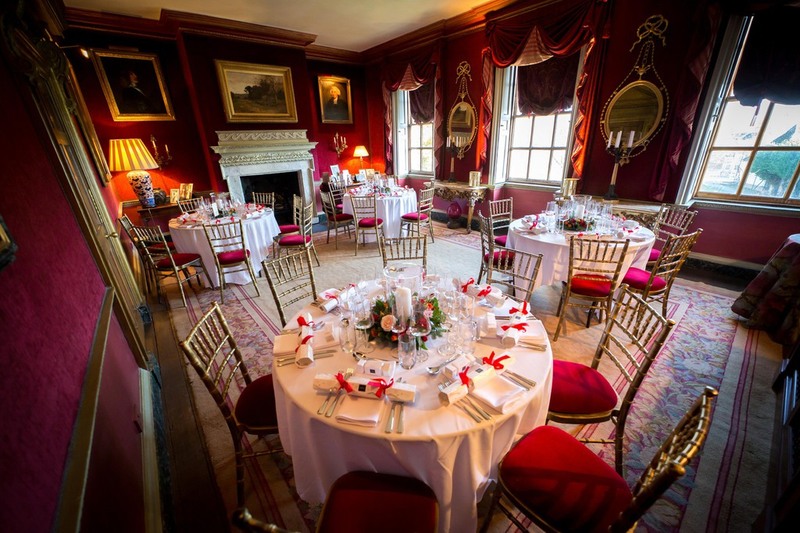 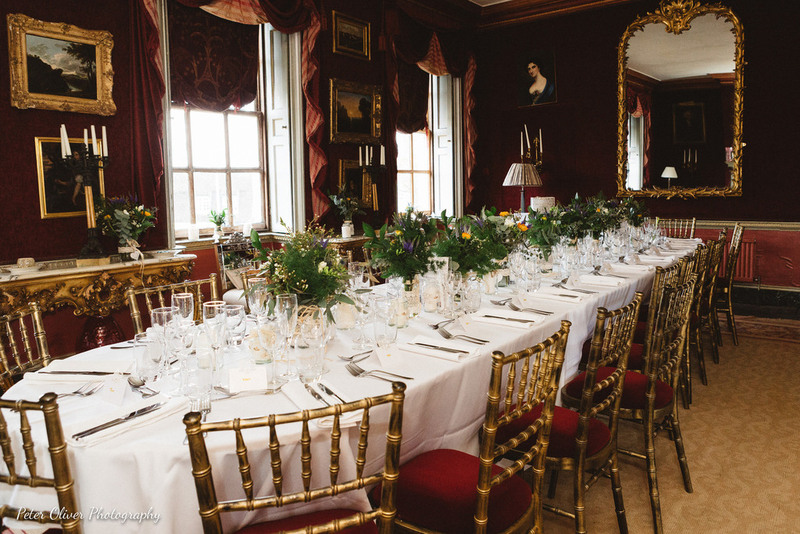 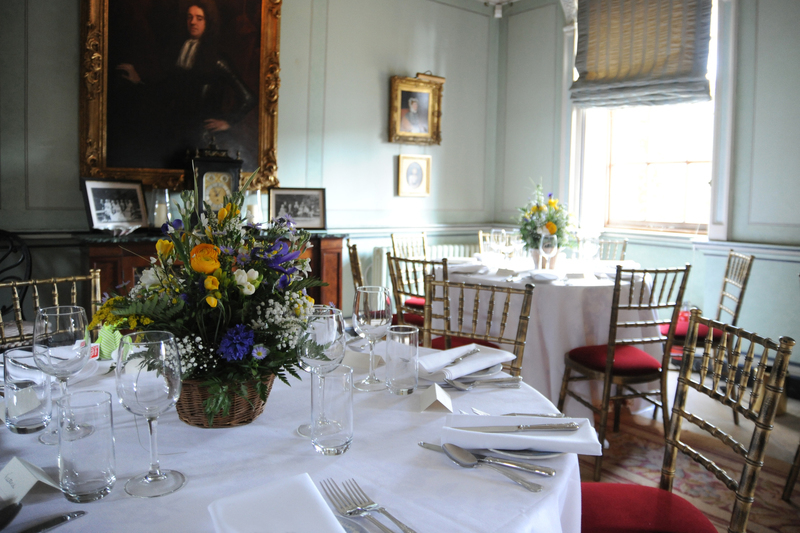 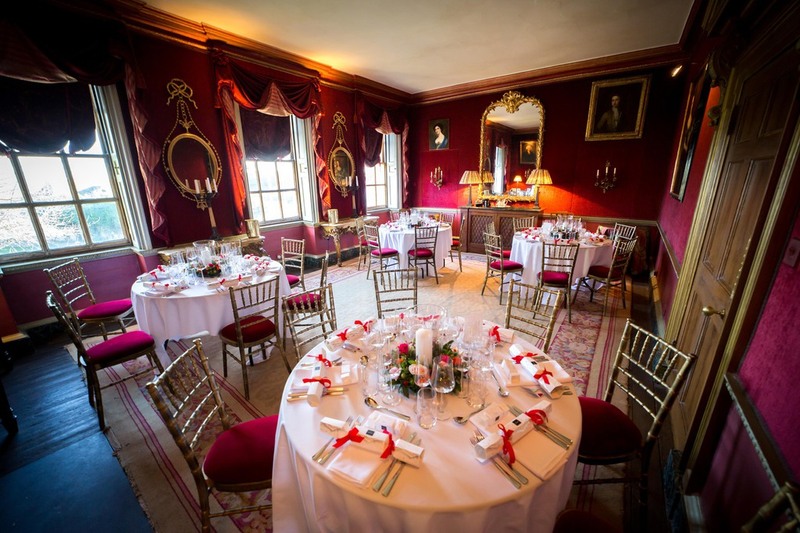 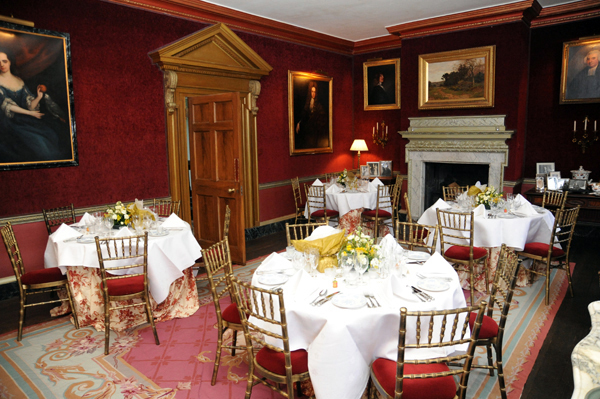 The room can accommodate up to 25 guests for a Civil Ceremony or 30 guests seated at several round tables for a meal. 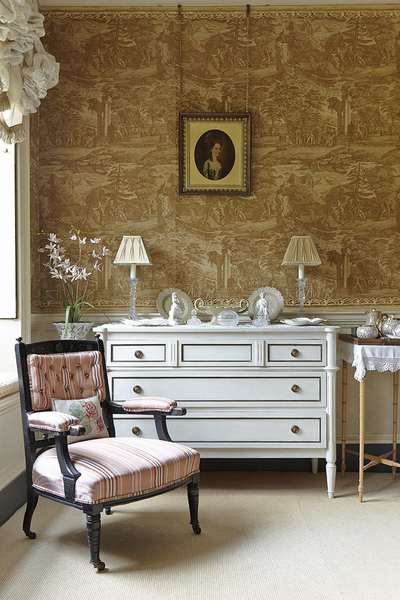 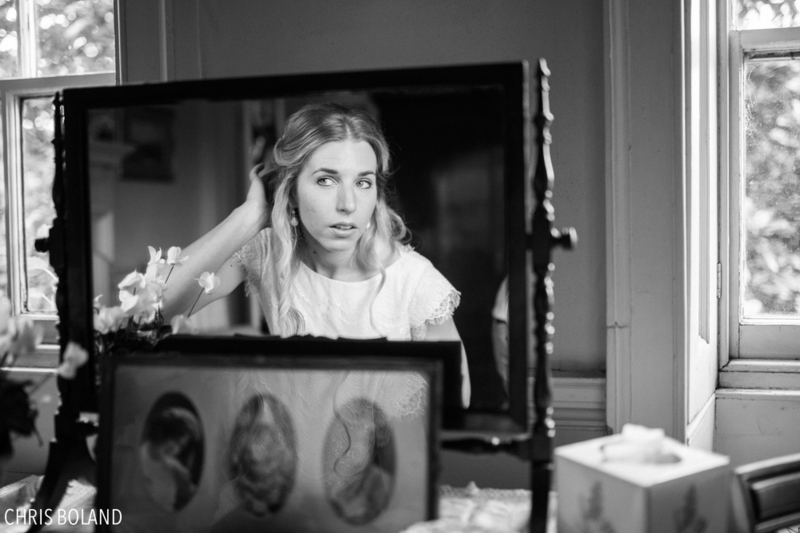 Dressing Room. 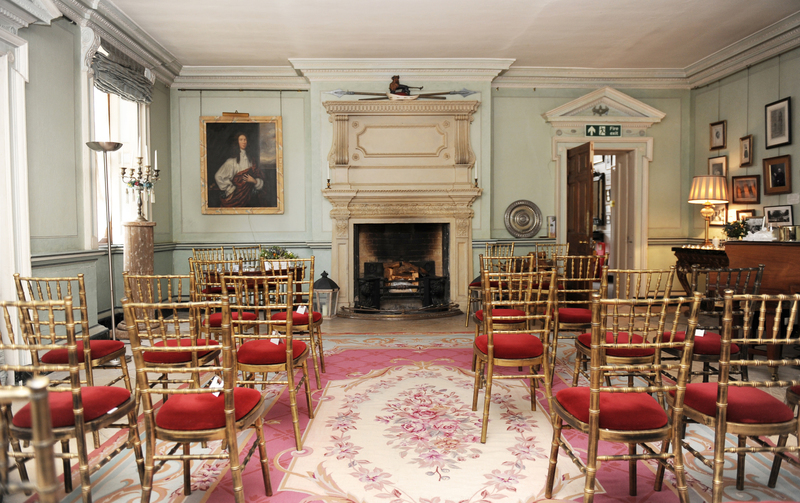 Hours: 10.30am-4.30pm (or an alternative agreed 6hr period). 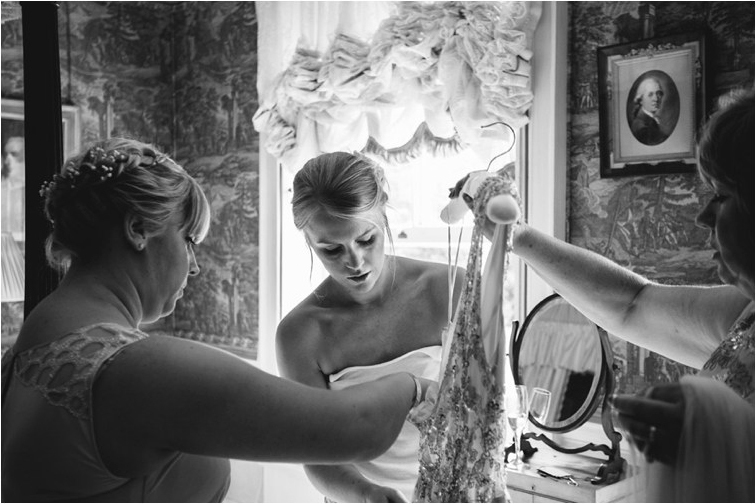 Bride & Bridesmaids to dress in before the ceremony and for Bridal portraits.